Summer is upon us. Wouldn’t you love a chance to sample the trendiest, newest, and buzziest Upper West Side eateries, from the most celebrated and talented chefs, all in one place? 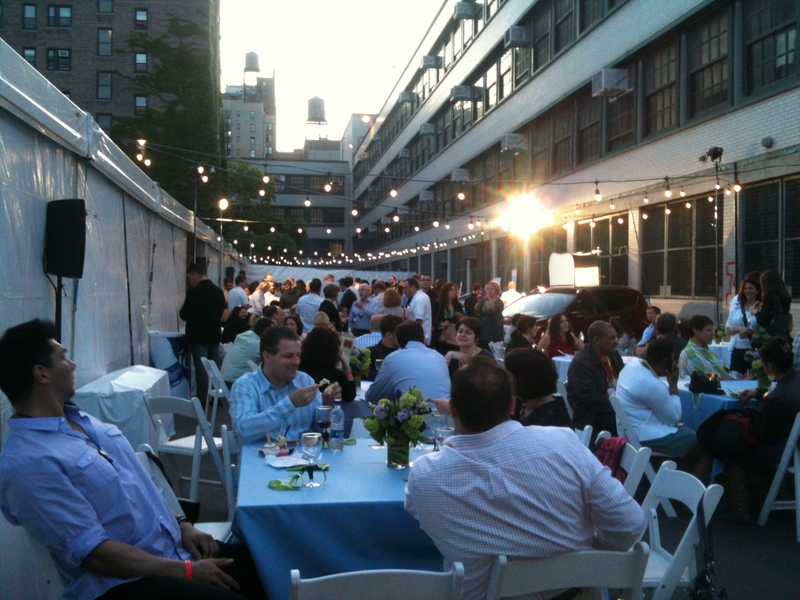 I had that opportunity in mid May when I attended the New Taste of the Upper West Side, a two-night food extravaganza showcasing Upper West Side restaurants. 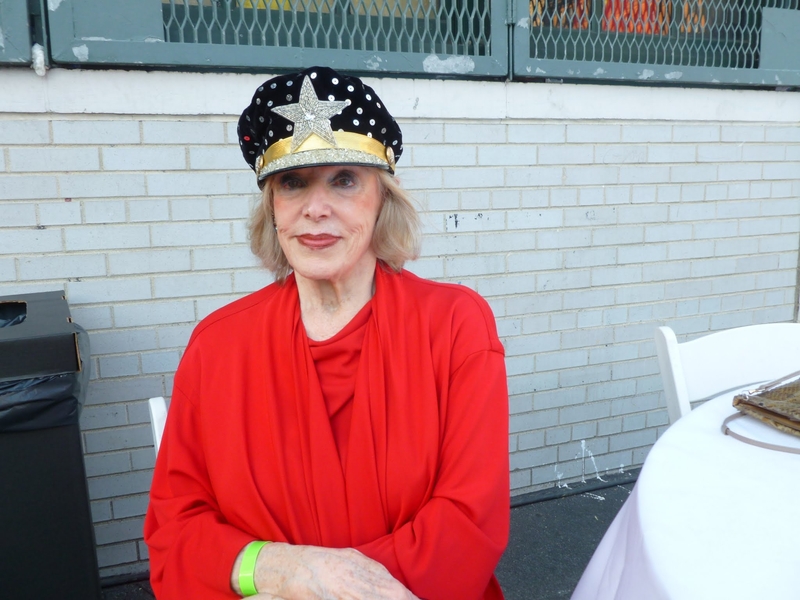 Having once been proud to call this neighborhood my home, I was thrilled to meet and mingle with some of its most prominent and colorful characters. 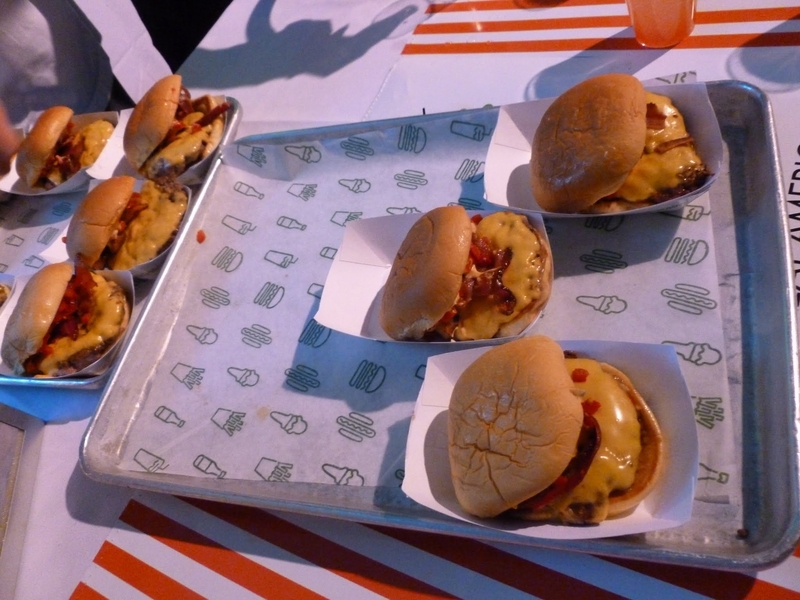 Friday night’s event, the Comfort Classic, offered a glance inside the gooiest, ooziest, creamiest, and tastiest Upper West fare, from banana cream pudding and chocolate-dipped bacon to cheeseburgers and crab cakes. 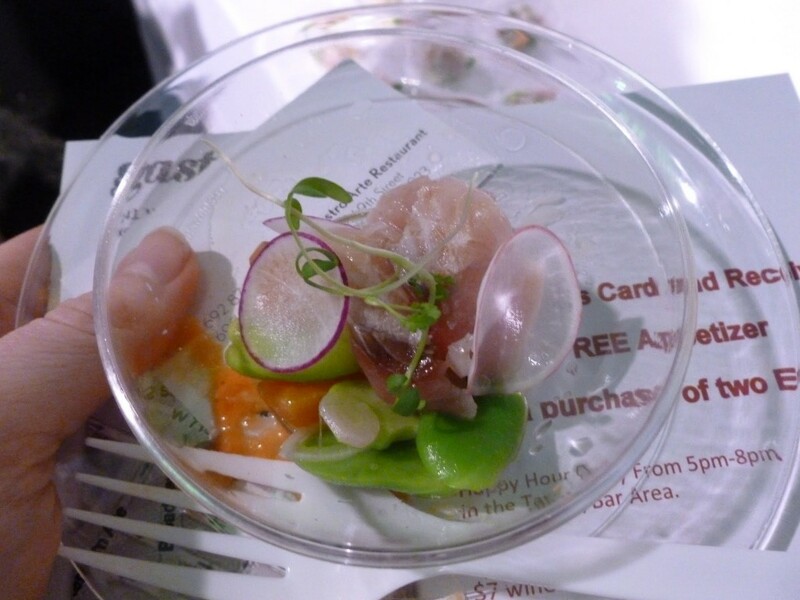 Saturday’s more elegant affair, the Best of the West, was an extravagant showcase of the nabe’s highest-end chefs, including Eric Bromberg of Blue Ribbon Sushi, Jim Burke from Caffe Storico, and Jesus Nunez from Gastroarte. Both events took place in a tent at 70th Street and Columbus Ave. 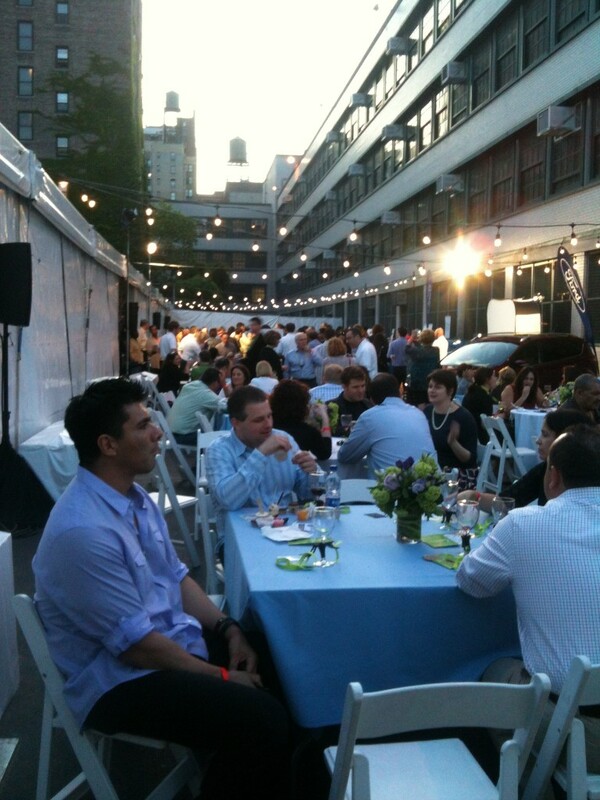 Inside the tent, glamorous UWS residents sampled dishes, sipped wine and specialty cocktails, and mingled with chefs. 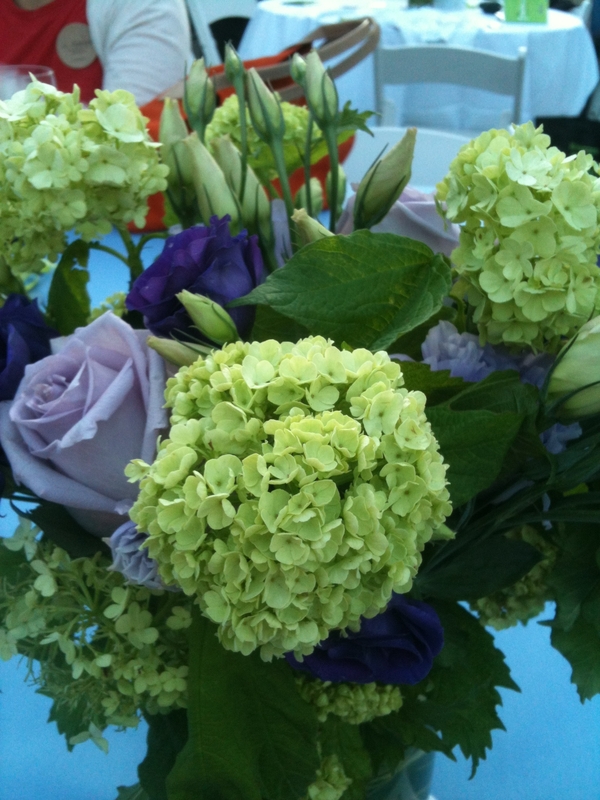 Adjacent to the tent, guests could retire for a quieter setting to enjoy the food and the beautiful spring evening. 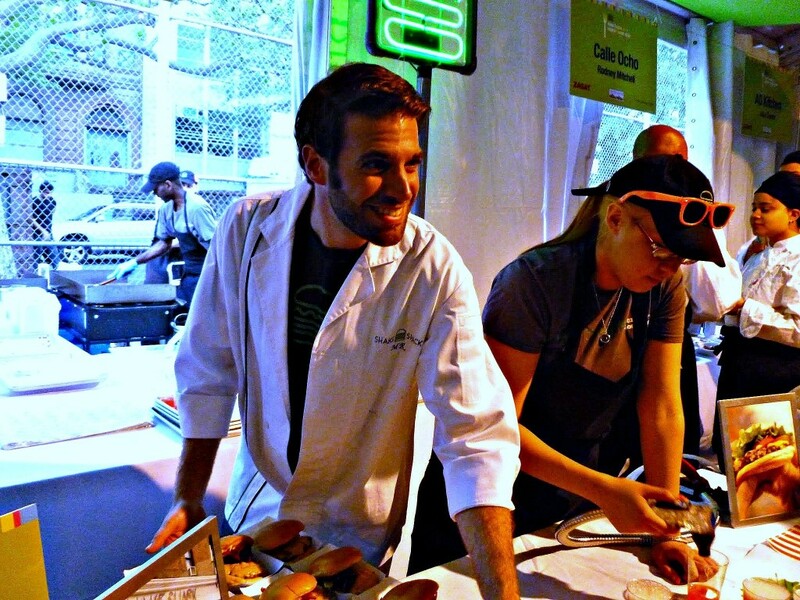 Mark Rosati, Culinary Manager of Shake Shack, was handing out burgers as fast as the crowd could gobble them up, accompanied by a new menu item: a house-made strawberry rhubarb soda (“Shack-Made Seasonal Suds”–they do love alliteration at the Shack.) The burger was the “SmokeShack”: a cheeseburger topped with all-natural ranch apple-wood smoked bacon, cherry pepper relish, and ShackSauce. Mark explained that growing up Italian, he ate cherry peppers all the time, but hadn’t yet incorporated them into a Shake Shack menu because he doesn’t want to over-Italianize the all-American joint’s offerings. But in the new SmokeShack burger, he feels that the relish cuts the greasiness in just the right way, without overpowering it. My taste buds agreed. 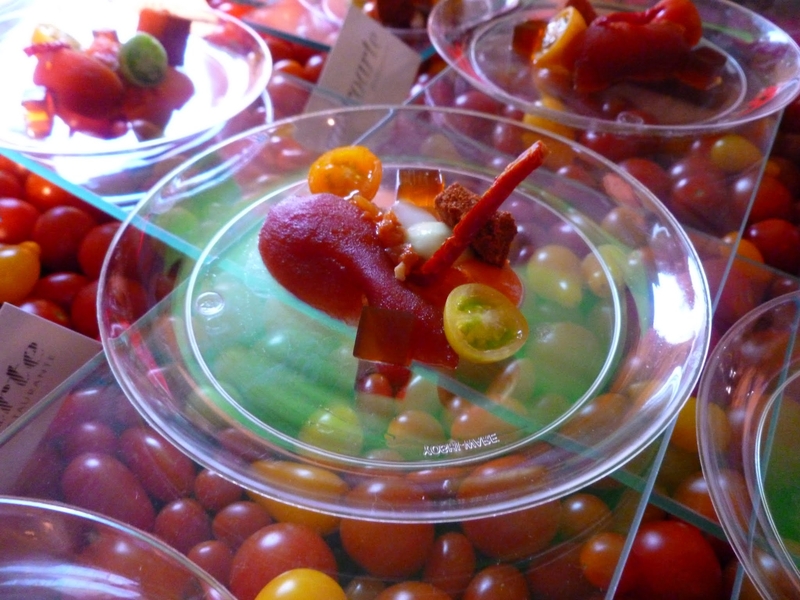 Jesus Nunez of Gastroarte offered Tomatoes Six Ways, an appetizers at the restaurant. He proudly narrated each type of tomato for diners: Confit tomato, tomato marshmallow, green tomato – olive oil gel, roasted tomato (pure), tomato water gel, dried tomato, heirloom tomato. “The roasted tomato is the one you’ll go crazy for,” he told me. He was right. BC: I like your hat. GG: Yes, I love hats. I would wear a giant floppy hat when I ate at restaurants. Of course, when my book Bite: A New York Restaurant Strategy was about to be published in 1972, I realized I could not show my face on the cover so I dropped the brim of my hat, and I always covered my eyes with a hat on TV and in photos. That was the end of hats in restaurants. You’ll notice the hat on the cover of my memoir, Insatiable: Tales From A Life Of Delicious Excess. GG: I was working as a journalist, but between assignments, I started writing about food. New York Magazine was just starting up and approached me to be their dining columnist. BC: What are the major changes you’ve seen in the food writing landscape since you first started with New York Magazine in 1968? GG: Nothing is as exciting as it was when I first started writing. Today, it’s a rat’s nest filled with bloggers trying to be heard. And everything we ever dreamed of in the 70’s–American chefs, great American cheese, boutique produce and herbs, exotic sea creatures, custom-grown pigs, a chocolate shop in every zip code–is here. BC: Do you live on the Upper West Side? GG: Yes. I would never live anywhere else in the city. Except for maybe TriBeCa, but I missed my chance to buy a place down there when I could afford one. BC: Someone once told me that the Upper West Side is a “food wasteland.” Do you think this is true? GG: No, not at all, especially not if you count Lincoln Center and all the great restaurants in that area. I love Lincoln, Picholine, Caffe Fiorello, Ed’s Chowderhouse, Atlantic Grill, Shun Lee, and Boulud Sud. The Upper West Side has definitely changed a lot since I have lived here. For one thing, you can’t get good Chinese food on every block anymore. BC: How would you say that the predominance of online media has affected the world of food journalism? GG: Well, for one thing, now everyone wants to be a food writer. Back when I started, it was just me, Craig Claiborne, and Clementine PaddlefoRD. Nowadays, the chef has become a celebrity. Chefs were not famous when I first started. BC: How do you think that the celebrity element affects the quality of the food? GG: For the most part, it means that the chefs are not in their kitchens. I miss that. BC: How were you able to adapt to the new food media? GG: After I wrote my book, Insatiable, I started a website called Insatiable Critic. You can find many of my pieces, back to my early New York Magazine columns. I also seem to have more twitter followers than almost any other food critic. BC: Did you really invent the term “foodie”? GG: That’s what I’ve heard. BC: But were you the first one to say it? GG: I may have been. The American edition of the Foodie Handbook gives me credit. GG: Just look it up online.